BOM : time to get some shopping done ! We&apos;ve managed to squeeze the budget down to the 500€ enveloppe. And by end of Feb 2016, bam the first board! 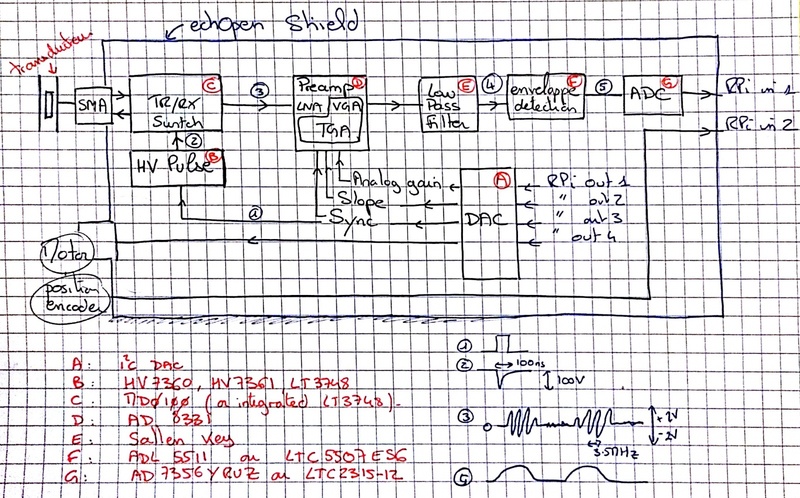 Of course, more can be read on the process on the worklog section, below. 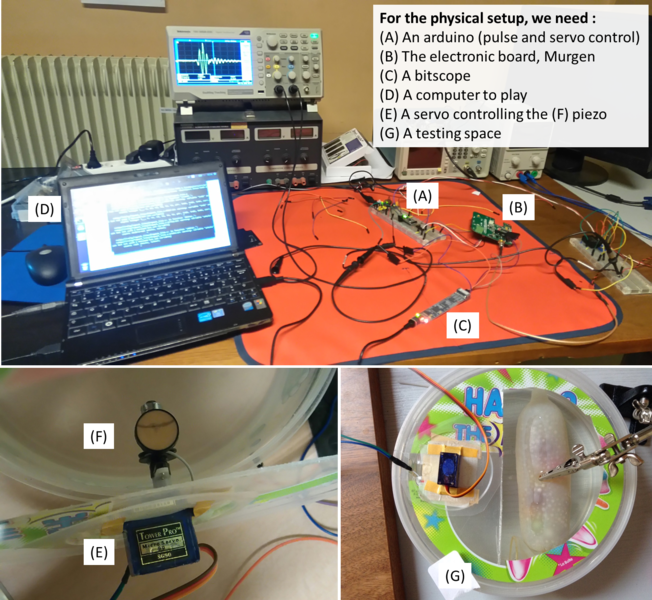 The key achievements were that we got our first ultrasound image with the murgen board =) Not a baby, mind you, but at least an echo coming from a part of a fantom (condom filled with agar gel and tapioca balls) in front of the transducer. 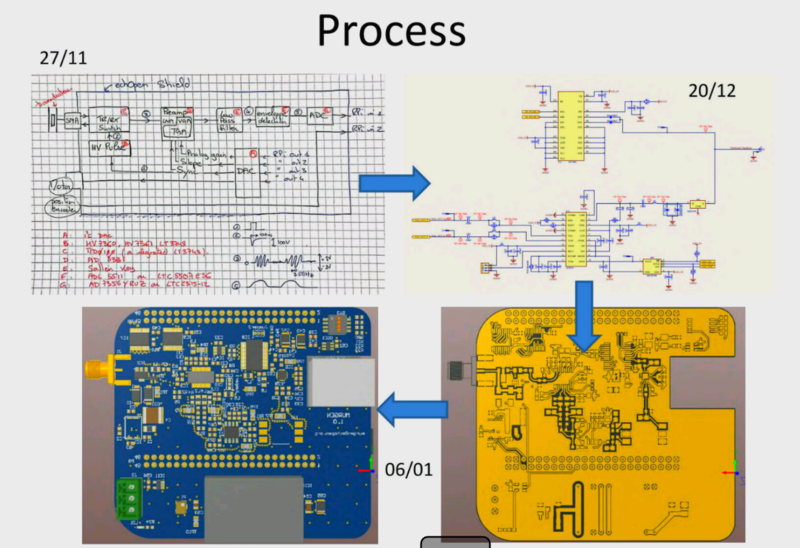 And we haven&apos;t tapped into the full capabilities of the board yet, so it can be improved! 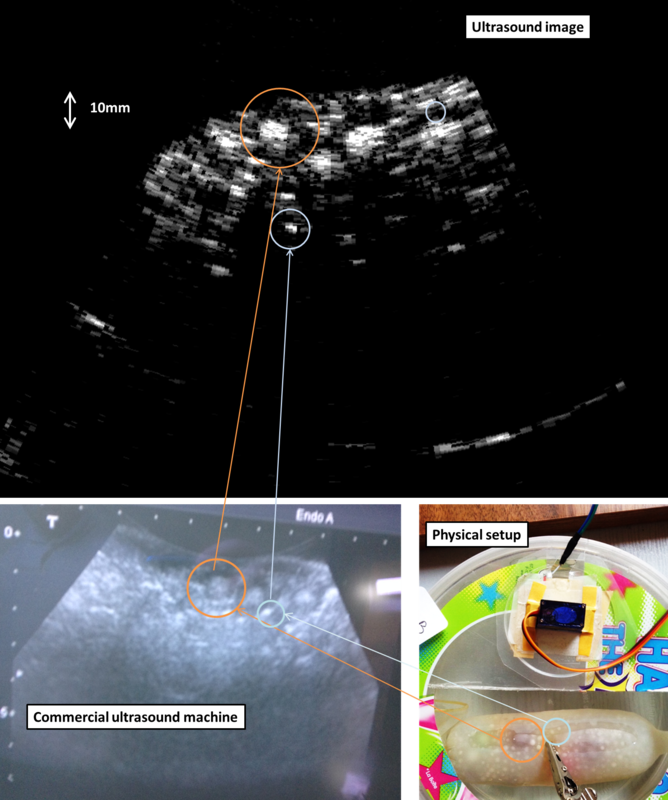 Enclosed, the picture of the same fantom, using a commercial, 100k$ ultrasound machine.